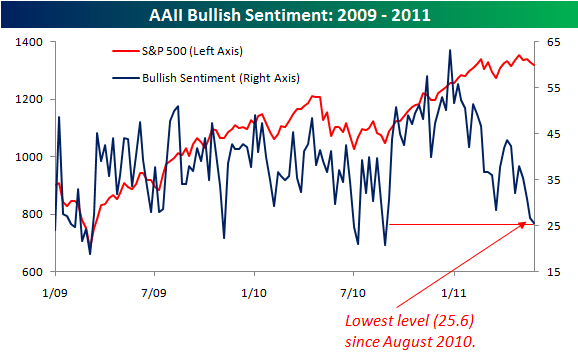 Usually market sentiment is a great contrary indicator at extremes. For some reason, despite a market that has barely sold off (down less than 3% from the peak) the American Association of Individual Investors sentiment indicator is at lows not seen since August 2010. You know what happened at that point. Not sure why such a negative view - perhaps the news from Europe is weighing more on sentiment than U.S. stock performance.